As training methods shift with the advent of new technologies, some L&D professionals might be anxious as to whether their learning programs are having an impact on crucial areas such as employee performance and job satisfaction. An increasingly popular way of training employees is through informal learning, which research shows can reap significant benefits for learners and organisations alike. A 2016 study found that although the actual magnitude of informal learning is unknown, a great deal of learning clearly occurs outside of formal education. “Several strategies have been developed to recognise and translate such informal learning into value for the learner,” the study’s authors pointed out. These include industry certifications, professional licensure, and emerging forms such as badges. Alternative approaches bring direct benefits to workers on the job such as career ladders that reward ongoing learning and performance. So what other types of informal learning methods are getting results? 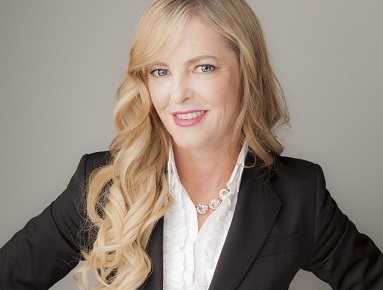 L&D Professional spoke to Kate Barker, vice president at Global Human Resources and executive advisor at SAP SuccessFactors. Barker said the organisation’s CEO, Bill McDermott, is focused on empathy, empathy-based management and AI. “These areas can help to build more powerful and inclusive teams, as well as customer empathy, to make the world run better and improve people’s lives,” she said. 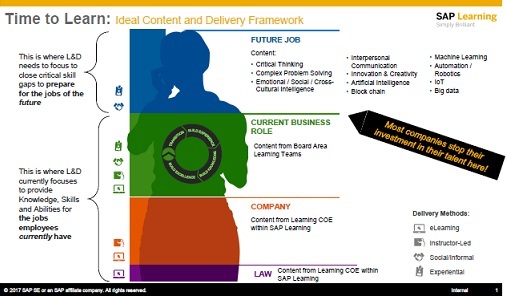 Barker said SAP recently launched a “game-changing” new strategy that distinguishes SAP as a learning and development thought-leader. “We know the rapid changes taking place in the digital economy are causing a huge skill gap because employees can’t keep up with the pace of innovation,” Barker said. Barker said that making time to learn and encouraging the organisation’s 86,000 employees to do this is what SAP Learning is embarking on in 2017. “We want to amplify SAP’s commitment to develop amazing talent and empower employees to set aside the time they need to grow their skills,” she said.